A new champ – will he keep the ball rolling, or will we get back on the carousel? This will see some mind games between Jim and Chris. John has it locked up, and can wager up to 5,200. Jim should wager 2,400 to cover Chris. 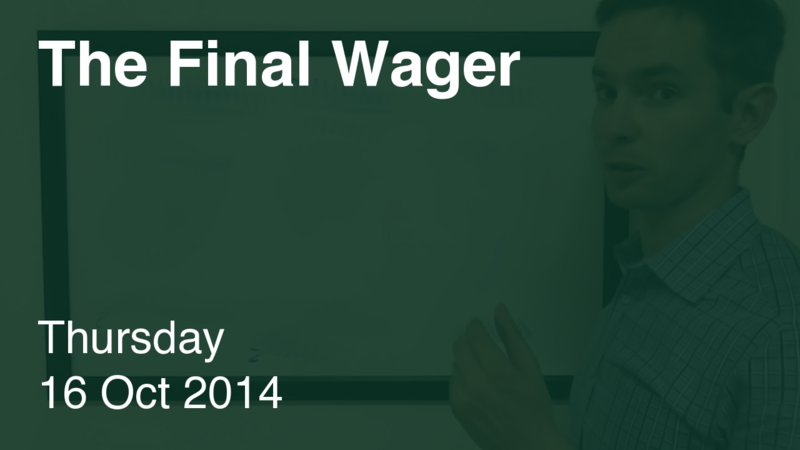 Chris should wager at most 600 – make that 599 since he has to win outright. 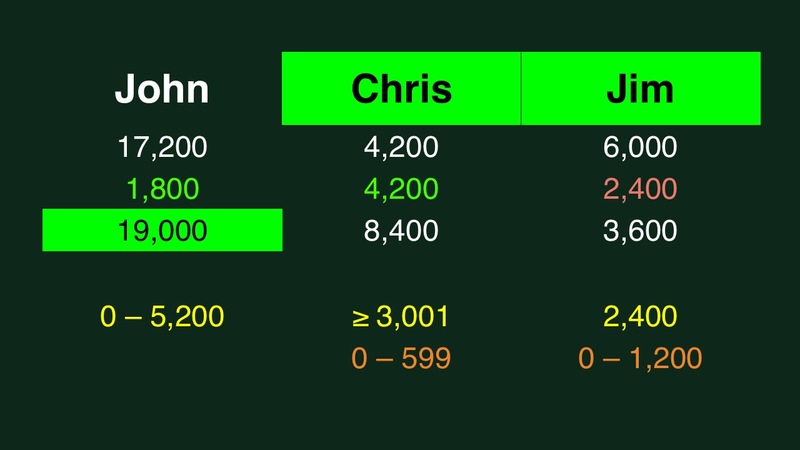 If he thinks Chris will go small, Jim could cap his wager at 1,200. Chris should wager at least 3,001 if he’s afraid of this. What is Journey to the Center of the Earth? I’m can’t wait to see Friday’s episode go up. I think it offered the most compelling set of “Mind Game” wagers so far this season – especially with such an offbeat FJ category. My bad. It is up already. For some reason the calendar link is broken though.